Welcome to Beyond the Blue Domes, my personal blog. In earlier posts, I shared memories about growing up in Iran during the Shah's rule, fleeing the country at age thirty, raising a family in the United States, and facing the newness and challenges of American life. Lately I'm posting my thoughts on stories or news that have touched me. My theme is exploring social realities and the intersections within cultures, and preserving history. Thanks for stopping by. Steve Jobs the founder of Apple Inc. When Steve Jobs passed away on October 5 of this year, there was a lot of discussion within the Armenian community, questioning why there was hardly any mention that Jobs’ adoptive mother was an Armenian and that he was raised by an Armenian woman. I was personally quite surprised a few years ago as I was reading his bio on Wikipedia and learned it. I asked my son who was and is a staunch follower of Jobs and even he didn’t know about the fact. In the last few days, among Armenian online sources, news surfaced about Steve Jobs’ attitude toward Turks and the Armenian Genocide. The following is an account told by a Turkish tour guide, when five years ago Jobs visited Turkey on a luxury Boat from the shores of the Mediterranean Sea to Istanbul where the journey was going to end. "What Turkish tour guide Asil Tuncer said, with respect to Apple Inc.’s founder, the late Steve Jobs’ visit to Turkey, caused great uproar in the country. The guide claimed that Jobs considered the Turks as enemies, and he did not even shake hands when bidding farewell to the tour guide. 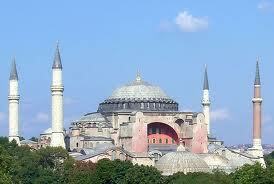 Tuncer noted that when they had approached the Hagia Sophia, in Istanbul, and he had told that it was a church at first but then it was turned into a mosque with minarets, Steve Jobs had asked: “You, Muslims, what did you do to so many Christians? You subjected 1.5 million Armenians to genocide. Tell us, how did it happen?” And the Turkish tour guide’s denials further infuriated Steve Jobs, who left Turkey one day early. Note: In Steve Jobs’ biographical book written by Walter Isaacson, there is only a short paragraph saying that after the Armenian Genocide, his stepmother, Clara Hagopian, had emigrated from Malatya, Turkey. I am intrigued that no media reported on the fact that Steve Jobs' had roots in Armenian culture. 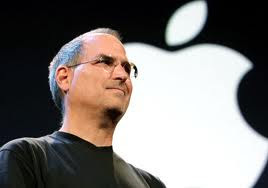 During a recent travel to San Francisco where we had gathered to be part of a conference on the issues of Armenian women, I met an administrator from Yerevan Magazine, (an Armenian magazine) she told me that they had scheduled an interview with Steve Jobs, the very day he passed away. Maybe this reflects a characteristic of Armenians: “Known to be late…” LOL... The legendary founder of Apple Inc. lost his battle to cancer on October 5, at age of 56. Thank you for bringing this story. I can easily imagine Steve Jobs being angry when confronted with the Turkish official attitude. There is again a vigorous debate whether the French law forbidding the denial of genocides (including the Turkish or should I say Armenian) and it is obvious that this is an educational matter. Now a days certain Fast food companies offer pizza services at home and they manage to deliver the pizza in the form as it is just come out from the owen as a custom essay companies reviews, they are doing to attract the customer to use their brands just by placing the order and enjoy the services at home. Twelve Days of Christmas... "meaning"
Prince William's DNA TEST reveals that he is 1/128th Armenian.